Every girl needs a LBD! Henri's has the hottest Rachel Allan LBD 2018 homecoming dresses. Visit us at either of our homecoming dress stores in Columbus, Ohio and Minerva, Ohio or shop online 24/7 where all new 2018 Rachel Allan LBD orders qualify for free shipping! 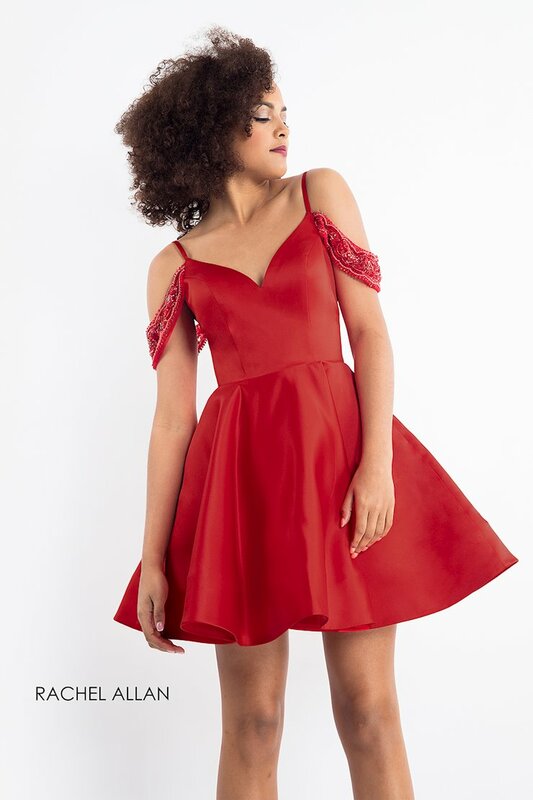 Find your dream dress among this beautiful collection, weather you're going to homecoming 2018, or any other formal affair. Visit our Minerva or Columbus, Ohio dress stores to view the largest selection of Rachel Allan LBD Fall 2018 dresses in the country, or shop the home for Rachel Allan homecoming dresses online - henris.com!